This is the English translation of the second part of the first story (“Stargazer”) of the series of short stories titled “Final Days of Summer” (残夏) by Masaki Hashiba (ハシバ柾). 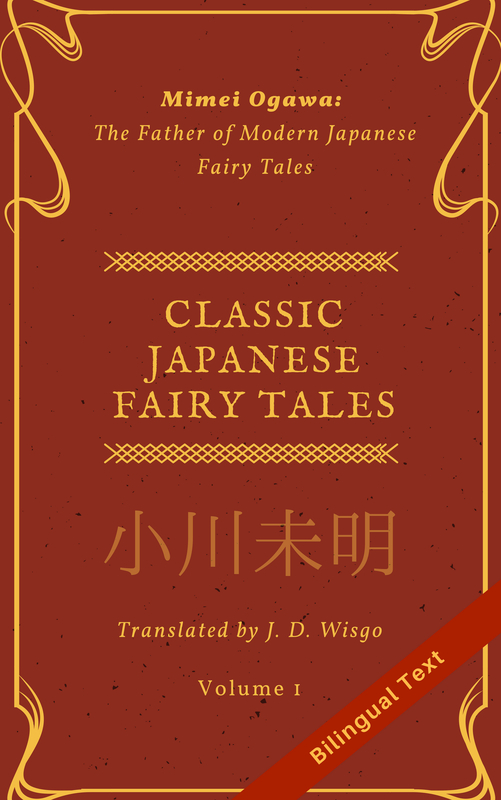 I’ve gotten permission from the author to translate and put these on my blog, and he is very excited about his work being translated to English. As always, since I have many other competing translation projects, any feedback on this story will help me decide where to focus my energies. You can vote for this story on my survey here, or even better you can leave a comment on this post, or like it. The next night I returned to the beach, breathless with anticipation. When I saw Nameless sitting there in the same place as the previous day, without a moment’s hesitation I sat down next to him. He welcomed me with a warm smile. Nameless opened his eyes wide and repeated the salutation back to me. My formal greeting seemed to catch him off guard. Given how much he’d surprised me yesterday, it felt sort of strange to be the one doing the surprising for a change. I showed him the bottle of cheap saké that I’d brought from my parents’ house, which he stared at quietly like some bizzare item. When I gave him a little to drink, it soon became clear that he had a very low tolerance to alcohol. It was quite amusing to watch his eyes glaze over as he hiccuped repeatedly. I drank with Nameless, already red-faced, while we stared up together at the night sky. The light of distant stars passed through wispy clouds to reach us all the way here on Earth. Something made a splashing sound. I searched the dark ocean but found nothing. Puzzled, I shifted my gaze to Nameless, who pointed to a place a little way out at sea where the water was shallow. I squinted to examine that area–my eyes were accustomed to staring at documents and computer screens–and could just barely make out the slippery faces of something breaking the surface of the water, causing little disturbances. It was dolphins, and more than just a handful. The large group of them gathered near the shore. Nameless slurred his speech as if the alcohol had begun to take effect. I thought about why dolphins would want to gather here, on this beach. What in the world did he mean by the dolphins start waiting for the meteor shower a week in advance? Why would dolphins search this beach for the most beautiful shells? And finally, how would dolphins search for shells on land anyway–after going through all the trouble of waiting until the day of the meteor shower? My logical facilities kicked in and put a stop to these absurd questions. A normal person would never believe some crazy story like this so easily. Especially an adult in their right mind…I admonished myself, turning a blind eye to the hint of despair that gnawed at me. When I glanced at Nameless, he was hugging his knees on the sand, starting to nod off. Giving him the saké had been a mistake. Despite his thick, warm clothes, he’d surely catch a cold if he dozed off here. His mumbling tapered off until it became the quiet breathing of peaceful slumber. Had he actually said this is my home? I put my hand to my chest as I looked down at him, a strange premonition stirring within me. Nameless was waiting for the meteor shower for a week in search of the most beautiful shell. What he was doing was suspiciously like the dolphins he had spoken about earlier. It was almost as if he had been talking about himself. But that was impossible. Despite acknowledging that, I decided to not take him home with me against his will. But if you asked me if it was because I believed his story, I’m not sure how I would answer. On the third night after I’d encountered Nameless, I visited that beach once more. He greeted me like an old friend. Needless to say, the pod of dolphins was still nearby in wait of the stars. I dipped my bare feet into the sea water and gazed silently up at the sky. Nameless, sitting in the shade of a large rock, and the dolphins, gathered where the water was shallow, stared intently up at the stars. Together we looked skyward: me–a man who had frolicked around embarrassingly on the evening beach, Nameless–a man with a strange appearance who paid no mind to my odd behavior, and a group of dolphins whose expressions gave no indication of what they were thinking. We were an odd spectacle indeed, yet none of this felt the least bit funny. After all, I myself was a part of this odd spectacle–and strangely, everything somehow felt right. I ran my toes through the cool water and turned to Nameless. Staring up at the night sky, his jet-black eyes reflected the stars clearly, like a mirror. Nameless’s voice blended perfectly into the stillness of the night. I looked around the ground near my feet and prodded at the shells in the shallow water with my toes. He said that long ago, all of these were once stars; the crazy thing is that I almost believed him. I picked up a nearby shell and tossed it at the distant, pitch-dark horizon. As if running low on energy, it skipped against the surface of the water and disappeared soon after. There was something comforting about being next to him like this. However, I just couldn’t bring myself to respond to what he said about the meteor shower. Facing away from him, I stepped out of the water and grabbed my shoes. The very words that I struggled so hard to get out stabbed deep into me. How was he reacting to what I said? I was too scared to turn around and find out. Just as I started to walk away, barefeet with shoes in hand, I heard a voice from behind. His voice was clear, leaving no room for doubt as to what he meant. But I said nothing and continued walking. Shortly after, when Nameless and the crowd of dolphins had disappeared into the shadow of a rock, I felt all the energy suddenly drained from my body and collapsed to my knees. Ever since I was asked to take a vacation and get away from the company for a while, I’ve started having these episodes where I can feel the blood draining from my face, like the time my boss told me I needed a break. What if I was never able to return to work? This fear weighed down heavily upon me. I don’t think anyone knows this, but to advance in my job, to become a “well-respected adult”, I’ve sacrificed some things along the way that were very important to me. For example, I stopped using my imagination that I had loved so dearly because others said it was childish, because it interfered with me becoming a “normal” member of society. A moment ago, you were shining so brightly. I thought back to what Nameless said that day and lowered my head in shame. When was I still young, I really enjoyed using my imagination. It was great fun to think about things that could exist despite being unseen. But why would I suddenly remember that at a time like this? I’d put distance between me and my job, but my imagination had become equally distant. There was no longer anywhere in this world where I belonged. A sense of desolation of being abandoned by everything–even the stars in the sky–swirled around me along with a stagnant breeze. I forced my weary body to stand and, dragging my foot, took another step of the long, dark way home. I found myself standing before that beach once again. I hadn’t gotten any sleep all night. I was exhausted, to be sure, but no matter how hard I tried, I couldn’t fall asleep; as I was killing time, the day dawned and bathed me in light. I remember up to the point where I absent-mindedly drank some more until night fell and then went on a little walk to try and get rid of my unpleasant hangover. After that I unconsciously–yes, you guessed it–somehow stumbled upon this beach again, as if drawn by an unseen force. At least you believe me, right? Nameless’s words were a knife that gouged deep into me. I still had no answer to his question. Actually, I think I’ll go home. But just as I had given up and was starting to turn around, I heard a voice. This voice–the one thing that I dreaded, yet longed to hear more than anything else in this world–came from somewhere between the rock and the sand. Nameless crawled out from the shade of his usual rock and into view. His legs appeared completely devoid of energy, useless to him. Supporting his upper body with only his arms, he smiled at me foolishly. Seeing him like that, I immediately understood why he had never walked around in my presence. It wasn’t that he didn’t walk–he couldn’t walk. He wasn’t trying to complain to me. Rather, he was dragging his two lifeless legs, inching towards me to try and stop me from going. I suddenly felt a strong need to leave that beach, and yet my body froze. I wasn’t able to help him up, not could I run away. Nameless spoke to me, still unable to move, as half of his body lay against the sand. When something dies, it becomes a star. It was a common saying. But if that was true, then how could you explain what happens when a star dies? Stars are ultimately just celestial objects, in no way related to living things and thus can’t die in that sense. It was hard to believe any such claim without any real scientific grounding. But I couldn’t bring myself to interrupt him. His soft voice continued. Those who lived an honorable life will become beautiful shells, and the others will become unsightly shells–each of them coming to rest on this sand. “I’m not into imagining things”–these words no longer had any meaning to me. I listened carefully to what Nameless said, trying to grasp his meaning. His words, his voice, permeated my body like water. The feeling of drunkenness that still lingered in my chest gradually became a calm drowsiness. I took a few steps towards Nameless and helped him to stand up. He seemed a little confused, but when our eyes met, he smiled bashfully. When I asked him why he’d never told me that he couldn’t walk, he replied as if stating something obvious. He nodded. His expression was dead serious, as always. I no longer cared whether or not Nameless was joking around with me. I responded only with a noncommittal “sure” and gazed up at the tiny, distant points of brilliance that watched over Nameless, the dolphins in the shallows, and me. Things glittering brightly, out of reach. The things of dreams and imagination I thought I’d long given up in order to become an adult. The truth was they still remained a part of me, waiting somewhere deep within for me to welcome them back into my life. I took him to the edge of the water, dipped his feet in, and kicked off my shoes. At first, he seemed puzzled by the sensation of the water, but a smile gradually returned to his face. After watching him for a little while, I couldn’t help but put my own feet in the ocean and swish them around playfully. Each time the water splashed in a chaotic dance, I saw the glittering stars reflected in the ocean’s surface. Within the constellations expanding below us–a star chart that was wholly ours–I felt as if Nameless’s eyes, sparkling brighter than any star, were leading me back to where I truly belonged. I just happened upon this series (and your site) today. It’s early days yet, but I find the story to be quite nice so far. Particularly because it’s such a welcome change of pace from the huge flood of RPG/fantasy novels that are being translated these days. I’d love it if you’d keep going! Hello, thanks very much for the kind comment. I personally think this story is great and really glad someone else is enjoying it. I am really not into much of the stuff that is translated nowadays (too cheesy/childish) and that is why I generally aim for stuff that’s a bit more serious, sometimes approaching what you could call ‘literature’. I wandered here because I saw your pinned translation guide on novelupdates, and was curious as to what sort of translation quality you could output. Needless to say, I’m floored. Major respect and thanks for what you do. Reading this reminds me of reading Haruki Murakami, especially the start. The subtle fantasy evokes those same feelings of surrealism. It’s that feeling of encountering something mystical, and not knowing whether to feel wondrous or unsettled. Now I’m tempted to go dust off a Murakami book while I anxiously wait for part 3. Thank you very much for one of the most rewarding, awesome comments! Honestly I never consciously realized the Murakami connection, but now that you mention it, I can see the similarity due to the surreal elements. It took me quite a long time to find this story but it was worth the time! By the way, I just published Part 3 few minutes ago. Enjoy! I wandered here because I saw your pinned translation guide on novelupdates, and was curious as to what sort of translation quality you could output. Needless to say, I’m floored.